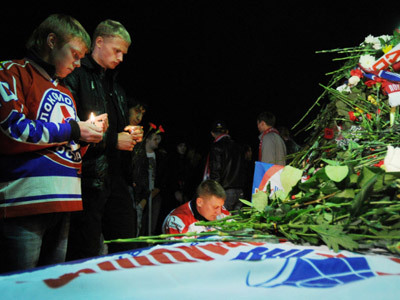 Minutes before the deadly flight, the wife of Pavel Trakhanov, one of the deceased Lokomotiv players, heard tender words from her husband and a goodbye, which turned to be the last farewell. ­The 33-year-old hockey player and his wife Ekaterina had a family tradition to connect by phone before Pavel would take off for a game in a different city, Life News tabloid reports. Wednesday, September 7, was no exception. Pavel Trakhanov called his wife, as usual, to say how much he loved her. ”His last words were, ‘We are taking off. I will give you a call in Minsk. Love you very much.’ God, I do not want…I do not want to believe it,” Ekaterina sobs. Ekaterina learnt about the tragedy from Pavel’s parents, who at first did not want to believe that their son had been on the deadly Yak-42 flight. Along with many others, they learnt about the catastrophe from a TV report. 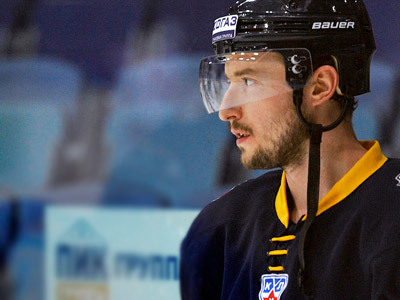 Pavel Trakhanov first started to play hockey at the age of five. As part of the youth team in 1996, Pavel Trakhanov became a European Champion. He played for CSKA and in May 2011 concluded a contract with Lokomotiv. 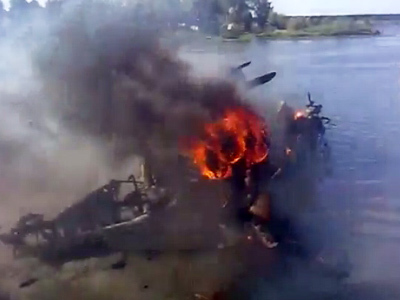 Yak-42 aircraft crashed near the city of Yaroslavl on Wednesday, killing 43 people on board. 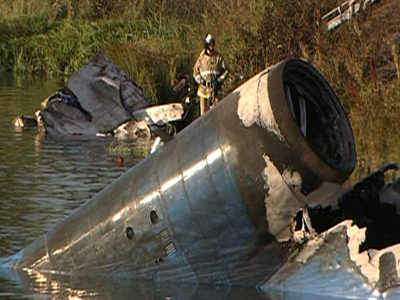 Only two managed to survive, one of them the Lokomotiv and Team Russia player Aleksandr Galimov, the other flight engineer Aleksandr Sizov.